Many new businesses are in need of putting their name out there. Facebook and other forms of social media are some of the best ways to do so. Facebook ads have become incredibly popular and have really helped businesses increase their sales. 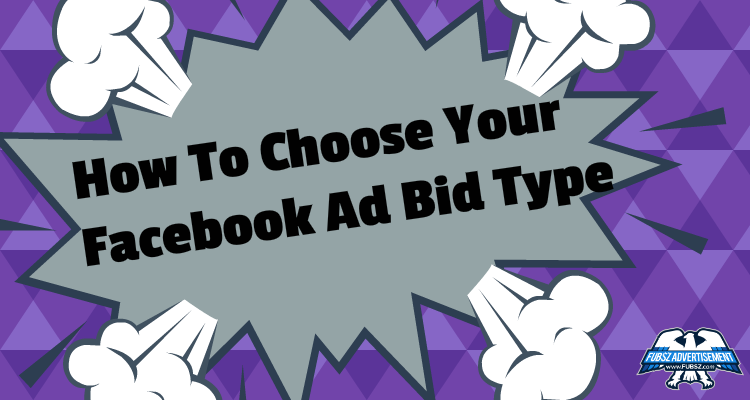 If you are looking to place an ad on Facebook, you must know what options you have for your business’s ad. It is very important to know how to bid on Facebook ads and how much money you are going to spend. Starting an ad campaign on social media sites like Facebook can be quite a big step and some would even say a bit risky. Many businesses all over the world now want a chance to bid on the Facebook ad space. Bidding on this ad space works just like any other type of auction, but with these ads, there is only so much space on the web that Facebook can offer. Facebook advertising is very limited so that is why it is so important to find the right space and bid properly. Usually the highest bidders are the ones who will receive the best ad space and the best featured ads on Facebook. There are a few ways to make sure that you get the prime ad space on Facebook. If you bid too low, you probably won’t get the ad space that you are looking for and you won’t be able to reach the ultimate goal of your ad, more unique visitors. Also, it is important that you do not bid too high because you may be able to get great ad space at a cheaper price if you wait it out a bit. There are many specific ways to bid on ads on Facebook. 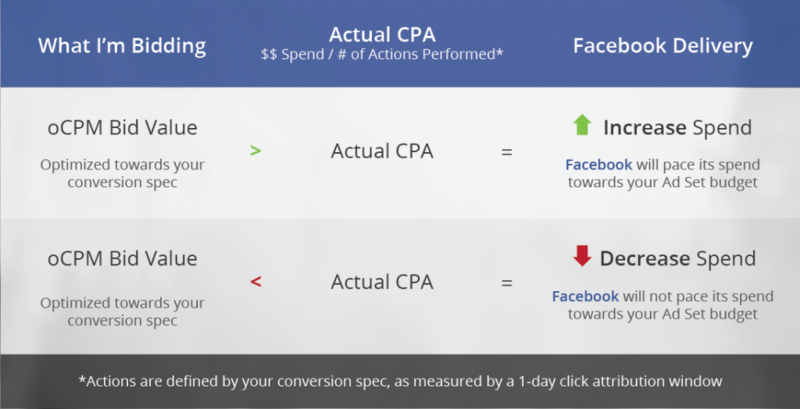 CPM is one type of bidding that Facebook uses to help businesses display their ads. CPM bidding helps the company to get more and more unique visitors. It is not an easy bidding tool however. This is one of the most difficult choices when it comes to Facebook ads because you must have the patience to wait for your ad to get new and unique visitors. It is also important that you have the right amount of money in order to use this type of bid on your next Facebook ad. Most of the larger brands use this type of bidding on Facebook to gain many new viewers. CPC bidding is another type of bidding featured on Facebook. CPC is a strategy that allows the bidder to pay for clicks. This means that you only pay for the unique clicks that your ad receives. The down side to this type of ad and bidding is that it is hard to know if your ad is being used on the News Feeds of the right type of audience. There are many other ways that Facebook can make sure that your target audience is seeing your ad. OCPM bidding is the most common way to bid on ads on Facebook. This method doesn’t involve bidding like the other ways, but it is designed to basically tell Facebook what you want to pay and what is the end goal for your business’s ad. This is the most effective and successful way to bid on ads on Facebook. You are in control of your ad and you are in control of your company’s goals. Facebook will choose who will see your ad based on their likes and interests. You will begin to see more and more unique and new viewers in very little time. The cost of the oCPM ad will be nothing compared to the money your ad will begin to make you and your company. CPA is cost per action bidding. This is a really effective way to get your business featured on Facebook and to gain many unique viewers. This type of method allows you to only pay for certain actions. You bid on the maximum amount that you want to pay for your ad. This method works great for those companies that are on a strict budget. The downfall of this type of bidding is that there are only a few options that you have when it comes to gaining unique visitors. This type of ad can be displayed on Mobile App installs, page likes, and link clicks. It is not however, a useful tool to use when you want new users to your company’s website. This type of ad only works for pages affiliated with Facebook. When it comes to finding the right ads for your audience on Facebook, it is very important to know what type of audience you are looking for. If you have a broad audience, too many people may be bothered by your ad and they may tell Facebook that it isn’t what they want on their News Feed. This is important because it can make or break your business. By telling Facebook that you want a more specific audience, you will be able to get new and unique visitors and they will be the type of people that have similar interests as your company. This is a great way to get those new viewers in no time! Facebook does give you the option to edit the type of viewers that you would like for your company, so when it is time for your business to start an ad, make sure you follow the steps needed to better define your ad space. Be sure to be honest about everything your company offers and make sure it is all included in the ad. Once you have found the right ad space on Facebook, your company will begin to see some great changes and some brand new likes and visitors. Your company’s ad on Facebook will really help things blossom for your business and you will love the receptive viewers that you now have found through social media.